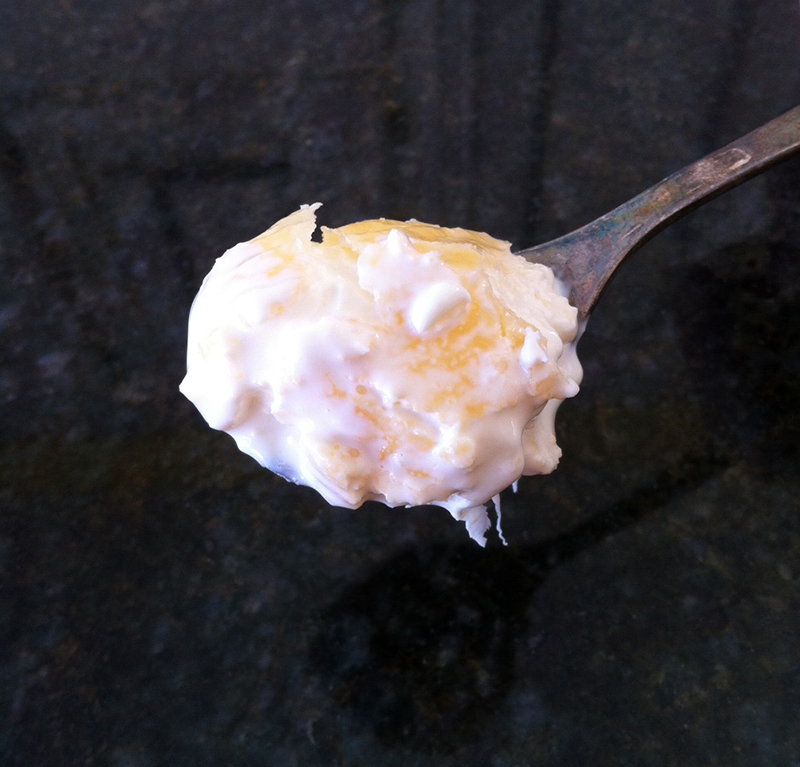 Welcome to the world of clotted cream and the easiest recipe you will ever make. The results are amazing and you will hardly have to do anything…just turn on the oven, set the timer for 12 hours, lie back and think of England. 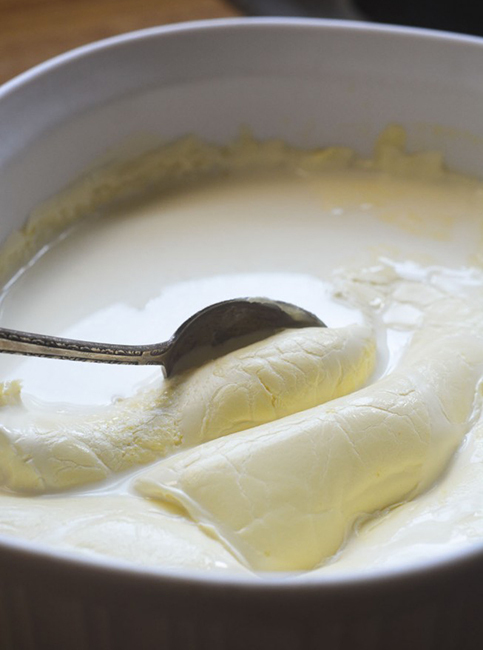 * For the recipe to work you have to use pasteurized cream, this is very important. You might have to search for this because many stores only sell ultra-pasteurized. I found mine at Trader Joes, Meijer and Whole Foods, so it is out there, just look carefully in the chill cabinet, trust me it is worth it. Set the dish, uncovered, in the oven and leave undisturbed for 12 hours. Be sure to leave the oven on the whole time. I started mine at 8am in the morning. Remove the dish from the oven and leave to cool. Then cover and refrigerate overnight. The next morning scoop the thickened cream (that is on the top) into a jar or jars, cover and put back in the refrigerator. Discard the left over cream that is in the bottom of the dish. Thank you to theviewfromgreatisland.com for this great recipe! Thank you for your comment, let me know if you try the recipe and how you get on. 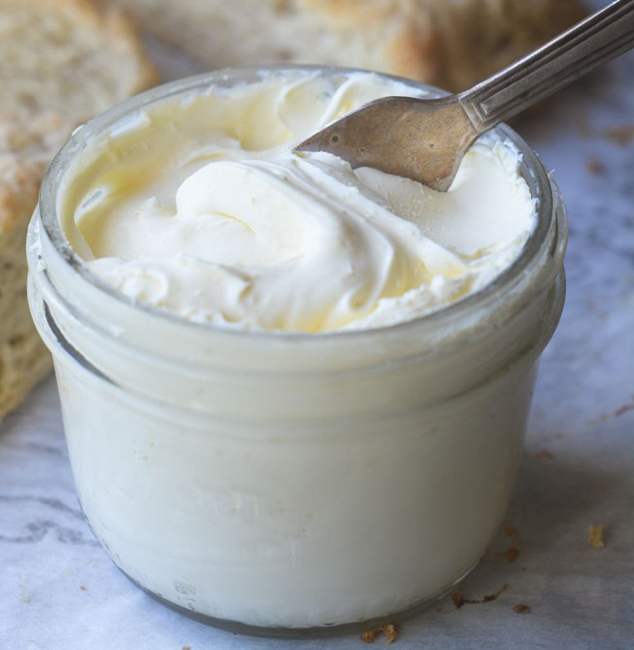 I love to put cream cheese and jam on a toasted bagel, I discovered this a couple of years ago, so I am very happy to hear it was a favorite of your grandmothers. I will have to try the little cafe in Sarnia, I always love to go to Canada, so this will now give me a very good reason to cross the border when the weather is a little warmer. Thanks so much for the suggestion, Katie.